If your makeup collection has been affected by a broken powder then you are not alone. I had an unfortunate experience with my Jeffree Star Cosmetics Skin Frost in the shade Ice Cold after my suitcase was thrown about at the airport! When I noticed it was broken I thought that my money had gone to waste but I quickly found a solution to the problem! This tutorial will help you to fix any broken makeup pans from eyeshadows, bronzers, powders and highlighters, it’s so simple to follow and will have you quickly re-united with your precious makeup items! To be even more experimental you can use this tutorial to create a pressed powder from a loose makeup pigment. First of all if you do shatter a makeup pan then try and hold onto as many of the powdered chunks as possible. Although this is a messy job – it really will help as the more pieces that you manage to salvage will help towards fixing the product, this will also help to make it last for as long as possible. The broken product and its pan – This works for individual pans and also will work for palettes. 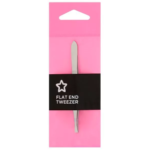 A pair of flat ended tweezers – Or something a similar size with a flat end. 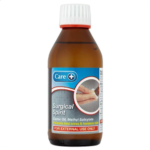 Surgical Spirit – This can be purchased from Boots/Superdrug/Pharmacies/Supermarkets. Using the flat end of your tweezers, apply gentle pressure to the chunks of product and break them down into a fine powder, try to keep the larger pieces in the centre of your pan to not lose any excess product. Some powder formulas are softer and more buttery than others so start off gently and add more pressure if the powder isn’t breaking up as easily as you would expect. Once you have broken down all of the product into powder use your flat edge to smooth the powder along the width pan to an equal level and height. The amount of Surgical Spirit that you add to your pan completely depends on the size of the product, if you are using a smaller based palette then a plastic pipette may help you as it may just need a couple of drops to mend. (With this particular product I filled the bottle cap from the bottle and slowly poured it into the pan.) You can use your flat edge to gently distribute the liquid around the pan and to carefully mix the products together, try to do this in-between caps/spoonfuls/squeezes of the Surgical Spirit to prevent any air bubbles. Finally double check to make sure that the liquid has reached all of the loose powder in the pan. Now is the time to leave your fixed product to dry, this can take 3-4 hours at least to settle as the Surgical Spirit evaporates into the air so try to be patient! For the best results leave your product to dry overnight and try to leave it uncovered to allow the liquid to evaporate into the atmosphere. Once the pan is completely dry you can use a tissue to gently press down and flatten the powder into place. For a professional and clean finish you can use a separate tissue, wipe or cotton bud to wipe around the edge of your pan to remove any excess and leftover powder. The particular product that I used for the tutorial has been fixed in this way and has been used a variety of times since. 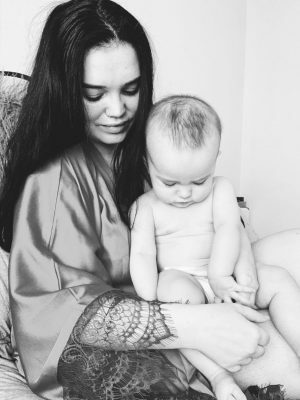 The product quality is exactly the same as it was when it was purchased and is completely safe to use on your skin. The only negative of this process is that the product may have a slight chemical smell to it, this will all depend on the size of the pan and amount of Surgial Spirit you used. This product pan size was quite large so it needed a couple of caps of the liquid but I’m sure if it was a smaller eyeshadow you may not get as much of the chemical fragrance from a few drops. 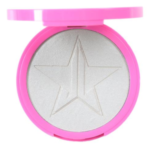 I was so happy when I fixed my highlighter as it was currently out of stock but if you are interested in the Jeffree Star Skin Frosts you can take a look at my review and shop on the website! I hope this tutorial will help, happy fixing! "FASHION WEEK FAVOURITES – SPRING/SUMMER 2017 READY-TO-WEAR"
"LUSH COSMETICS – CHRISTMAS COLLECTION 2017"
Thanks for this – I was always so intimidated to try this but it seems pretty easy! Going to have to give a try! This is awesome! I have a few products that could use this right now! Thanks for sharing!